I've seen so many great reviews, celebrities talking about it and friends using Blue Apron. And now I finally understand why. I've always been curious on how it works, if the food is fresh, and if it's really worth the money, so I contemplated on making the purchase. When Blue Apron contacted me to try their Family Plan, I was super excited because it put the contemplating to an end and gave me a verdict. I love Blue Apron meals and I cannot wait to sign up for my next box. 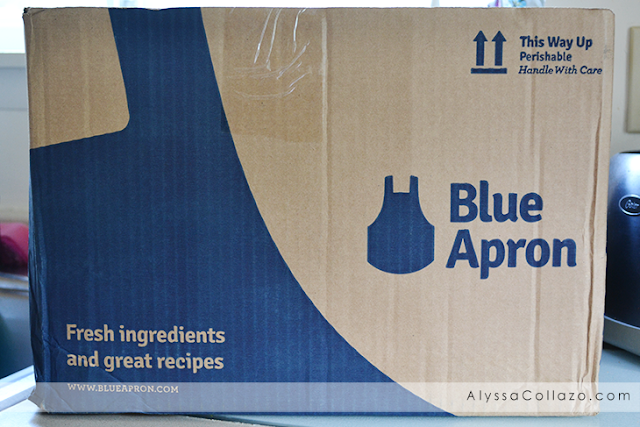 Blue Apron is giving my first 50 readers 2 FREE MEALS with their FIRST order! Click HERE. When I cook or bake I use a lot of basic ingredients, stuff you'd find in almost everyone's home. I have moments where I get comfortable making the same foods and times where all I want is to try new foods. I am thankful my family understands and is willing to try my recipes, new or old, which is why Blue Apron is perfect for my family. A lot of the things included in my Blue Apron box are ingredients I have used. For me it was learning to use them in different ways like removing Corn Kernels from the Cob and making a Spiced Butter. I absolutely love that the ingredients are farm fresh, GMO free and they include everything for each meal which means no running to the grocery for anything, just make sure you have the basics like Olive Oil. I was a little intimidated but thankfully each meal comes with recipes cards and it's almost like having a personal chef in your home. They explain a little bit about the dish, tell you which ingredients you'll be using and the instructions. They also have picture tutorials which is perfect for people like me, who need visual directions. if you are struggling in the cooking department, this is your key to success. They sent me their family meal plan, which is their 4 person plan. You have the choice between 2 or 4 meals per week at only $8.74 per person. I spend twice the amount of money grocery shopping. They also have plans for two people at only $9.99 a person and you get 3 meals per week. I can't believe shipping is always FREE and they send their boxes to almost 80% of the country, Shipping Map. FedEx delivered my Blue Apron Box. It was a refrigerated box with all the ingredients inside. I made my first meal the next day, but no worries if you wait a few extra days, the ingredients stay fresh because I made my next meal 2 days later. 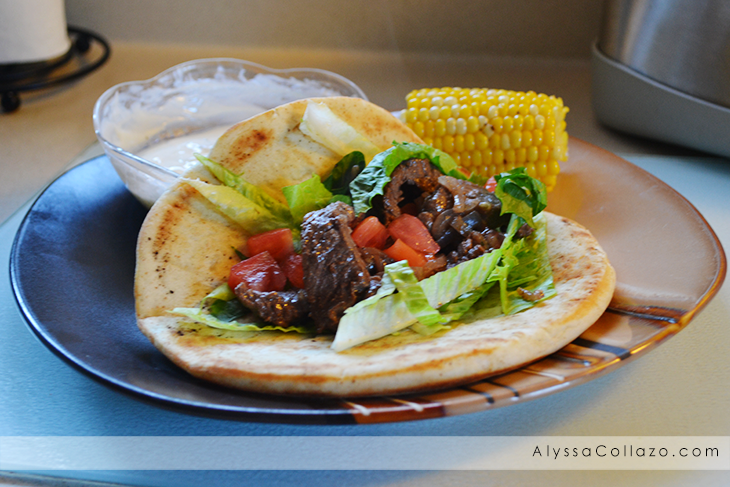 So here's my first meal, Steak Gyros & Corn on the Cob with Tzatziki Sauce & Spiced Butter. This traditional Greek Street food took about 25-30 minutes to make. This was my first time making Gyros, I remember always walking past a Greek restaurant and wanting to try a Gyro, the smell alone makes your mouth water. It was pretty cool making this tasty recipe in my kitchen. The Tzatziki Sauce and Spiced Butter was full of flavor and my family loved it. I would definitely make this meal again and again. Here is my Second Meal, Turkey Sloppy Joes with Sweet Corn & Summer Bean Saute. This all-American meal definitely brought back Childhood memories. This meal took about 35 minutes to make, it was full of flavor and had such vivid color. 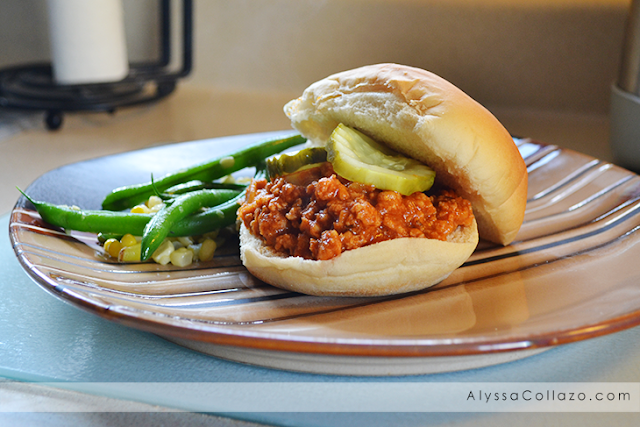 I remember my mom always use to make her Sloppy Joes with Ground Beef but I highly recommend trying it with Ground Turkey and a Crunchy Pickle. Talk about delicious. This was for sure my daughter's favorite meal! The Summer Bean Saute was different but so good. 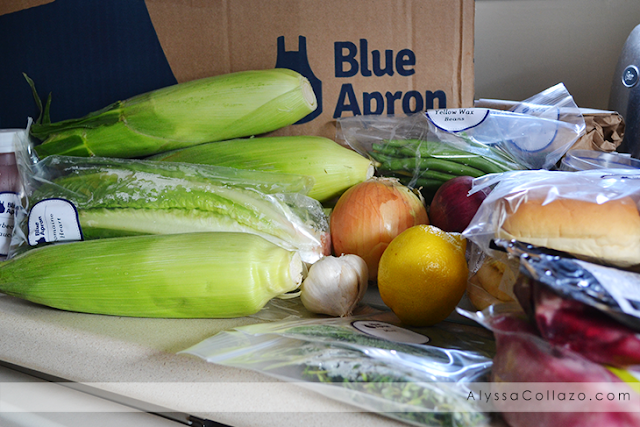 If you are looking to try new recipes, Blue Apron is the way to go. Also, Be sure to follow Blue Apron on Facebook, Twitter and Instagram. And don't forget, my first 50 readers get TWO FREE MEALS with their FIRST order. Click HERE to learn more. I have always wanted to try one of these companies, but never had to guts to really do it. It looks like you all enjoyed the meals. I will check into them! That's so great! I love the idea of getting fresh, GMO free produce delivered right to my door. Yay! I think this is a fantastic idea! We have a farmer's market that I always go to, and this is pretty much the same concept. I am all for anything that makes my life easier at dinner time - especially on busy school nights. Blue Apron sounds like a great solution. All of this food looks so tasty. I think I would love to try out Blue Apron. It just seems so convenient! This sounds like a great program and a great price. I hate deciding what is for dinner. Give me the ingredients and the recipe and I will be a happy camper! I really like that they send all the ingredients you need! It would be so fun trying new recipes with each box. Both meals look delicious! I like using fresh ingredients all the time. It would be lovely to get non GMO products right at your doorstep. 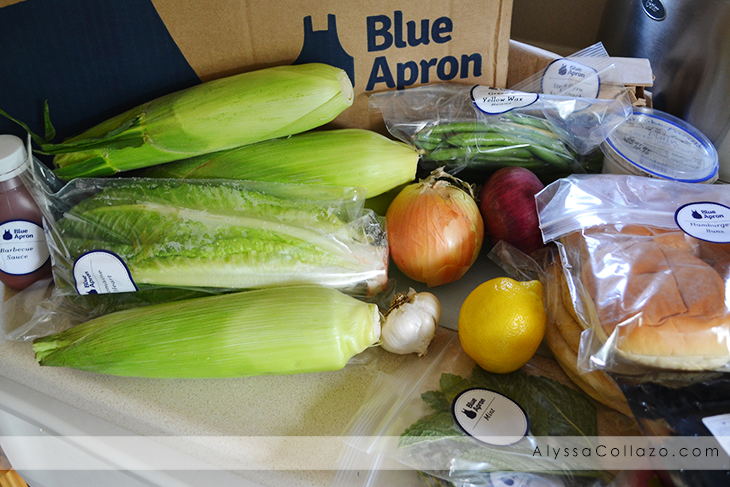 I keep hearing such great things baout Blue Apron - it seems like such a convenient way to get dinner on the table! I have always wanted to try one of these companies that delivers food! This seems like a really good, healthy and simply plan! Going to check it out! Love the food! Blu Apron really rocks. Thanks for sharing this article. Wow, everything really looks fresh! I love this kind of subscription especially during winter times when everything is frozen and fresh produce is hard to come by. The hubs loves steak gyros and I want to have that turkey sloppy joes. Yum! We haven't tried subscription boxes such as that. Would love to try though. I did Blue Apron last year and it really was a lot of fun. My first box arrived damaged and it was a mess; but they promptly sent me another one. I love meals that bring back childhood memories. Blue Apron def. sound like it's worth looking into. I didn't realize there was a box like this I could order. I live out in the boonies and usually nothing will come this far. excited to go check it out now. These companies looks so awesome! I have always wanted to try it! These meals looks great! I've been really wanting to try this! Whoever came up with this idea is a pure genius!